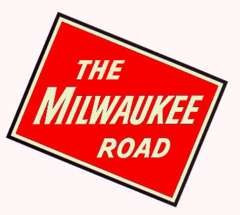 Welcome to the NWI Chapter of the National Railway Historical Society web site. The North Western Illinois Chapter covers all of northern Illinois. 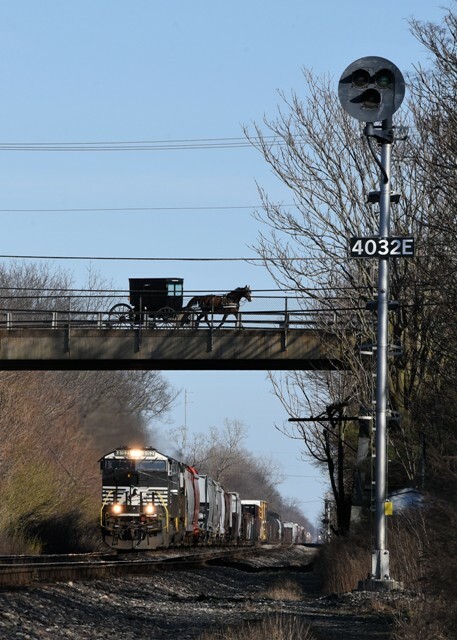 Randy Olson image of a westbound NS freight featuring a horse and buggy crossing on an overhead bridge in Indiana. Feel free to share the internet address (URL) www.nwinrhs.org with your family and friends so they can see what is occurring at North Western Illinois Chapter of the National Railway Historical Society. The NWI is a proud sponsor of Operation Lifesaver. Please click on the logo to visit their website for more information. Railfan Viewing Locations Across the U.S. Most pictures will enlarge when you click your mouse on them. Click on logos near top of page for information about each railroad. Clicking on underlined words will connect to another web page.